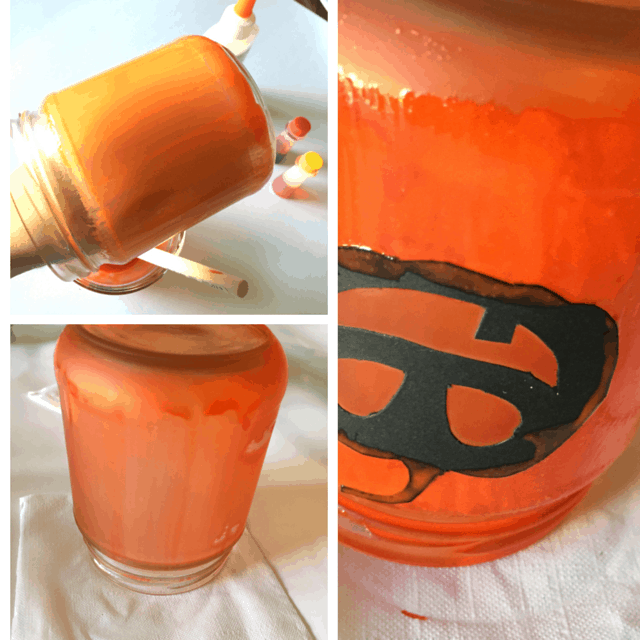 These decorative Halloween jars are easy and fun to make. 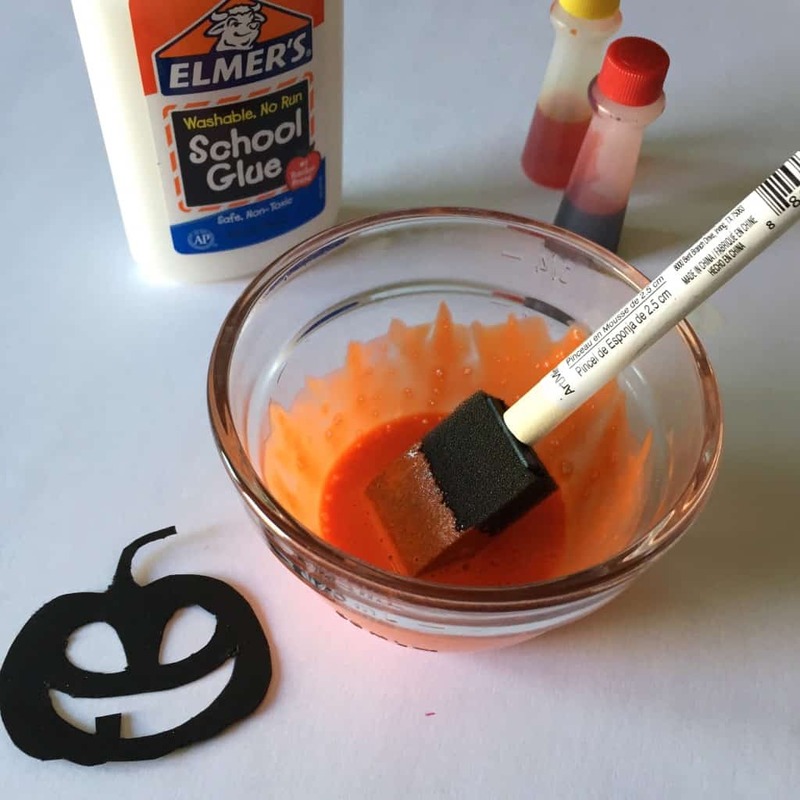 Kids will love helping to create the Halloween decorations! My favorite holiday is quickly approaching! As this year flies by and the Christmas decorations are showing up in the stores I am firmly pumping the brakes!! I always get excited about picking out Halloween costumes, but for some reason, I never really invest in too many decorations. Besides having our Switch Witch basket out, and some pumpkins carved, our house seems pretty plain each year. 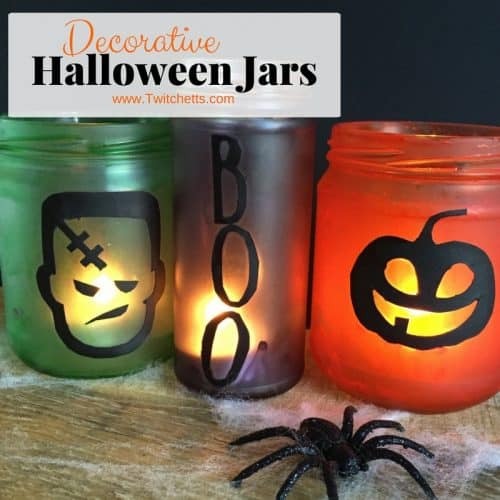 So I decided to change that up and created these Decorative Halloween Jars. Elmer’s school glue. It must be the white kind. Mix 1T of glue with 2t of water. Add color until you like what you have. 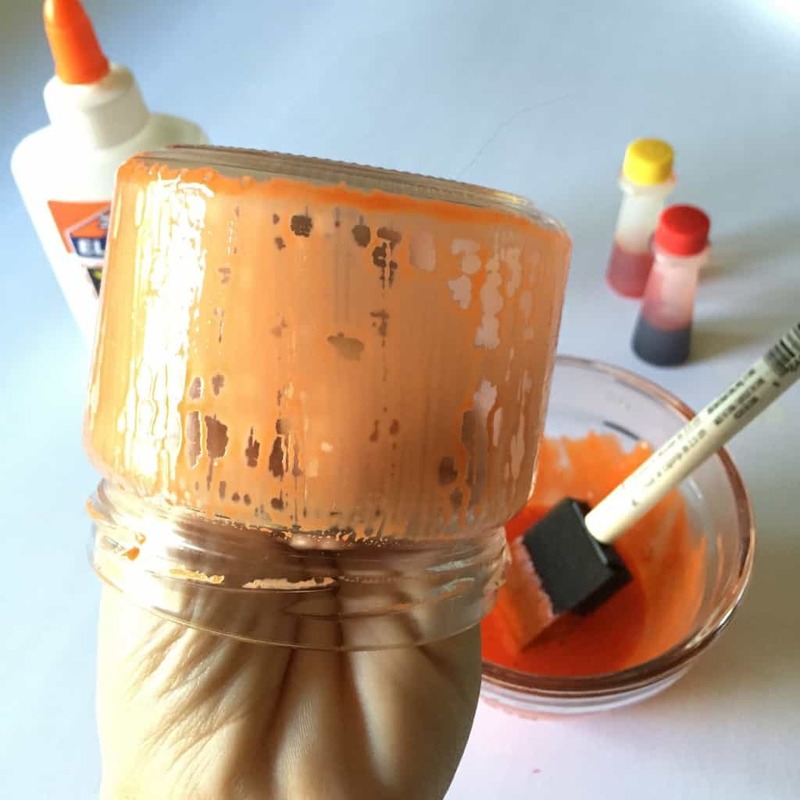 Then apply to your jar using a foam brush. Do Not use any oil to remove your labels. Shown below, the glue paint won’t apply smoothly. Use vinegar instead! When the first coat dries apply the second coat and add your silhouette picture to the wet glue. Dab with fingers or toothpicks. Then use a little more of the glue mix on the edges. It won’t show any color on the black when it dries. Add a candle and you are good to go. 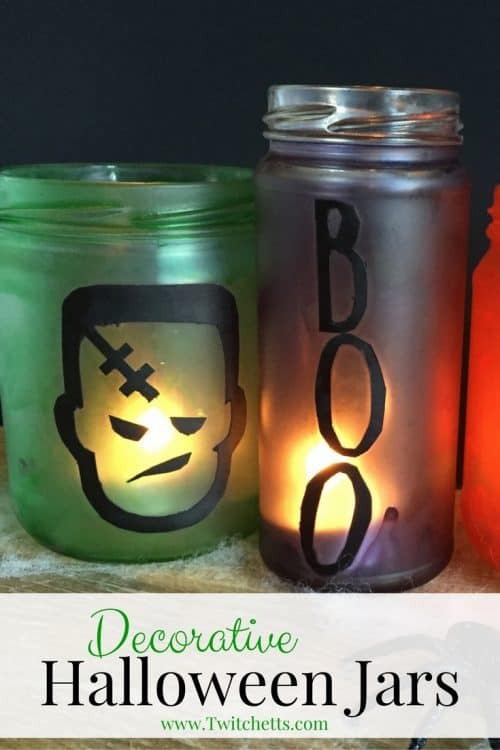 Another quick note… If you use fake tea lights make sure to get white flames. Otherwise, the orange will drown out your color. 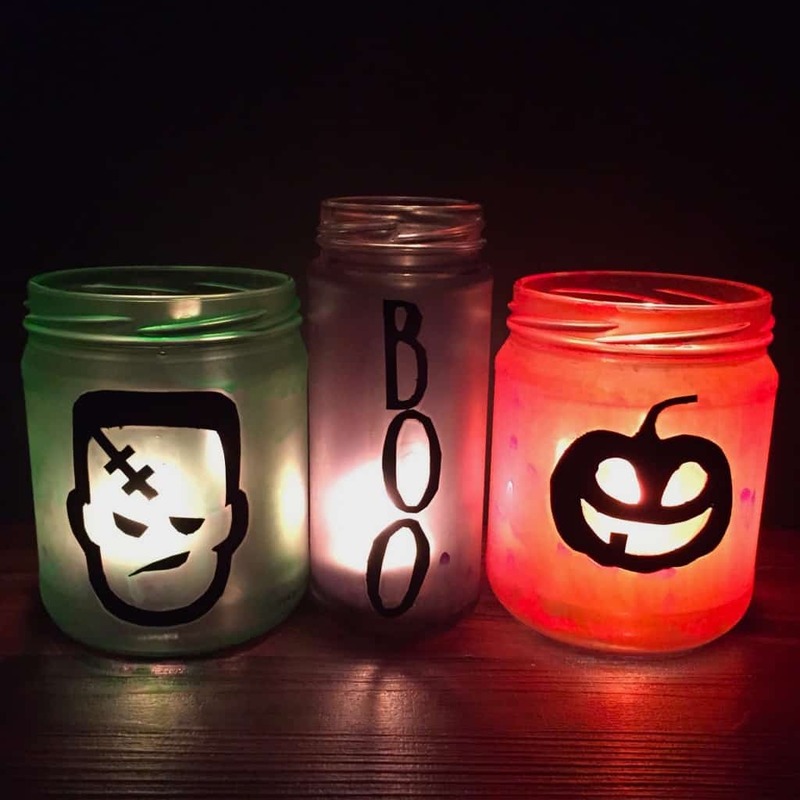 We will be placing our decorative Halloween jars in the windows this year!